This is a 1969 ad for a Post Grape-Nuts Cereal! The size of the ad is approximately 5.5x7.5inches. 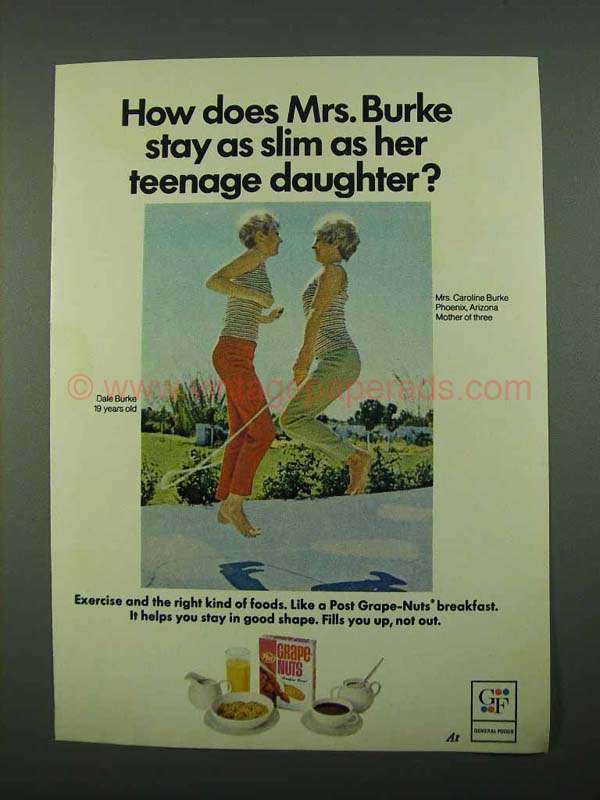 The caption for this ad is 'How does Mrs. Burke stay as slim as her teenage daughter?' The ad is in good overall condition, with some light wear. This vintage ad would look great framed and displayed! Add it to your collection today!